Lot 746. 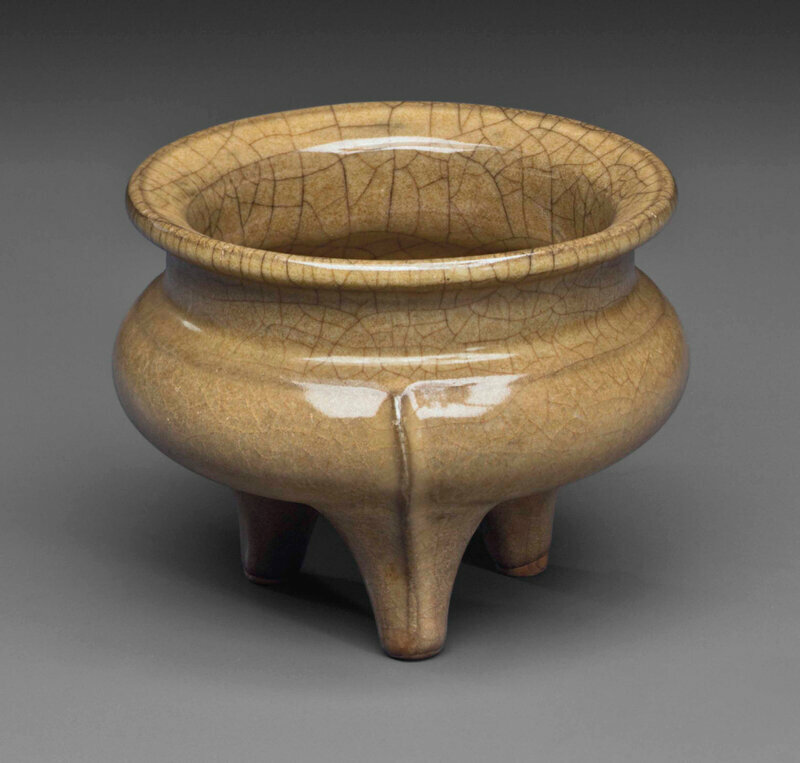 A Longquan celadon Guan-type jar, Southern Song-Yuan dynasty, 12th-13th century; 3 5/8 in. (9.2 cm.) high. Estimate $3,000 - USD 5,000. 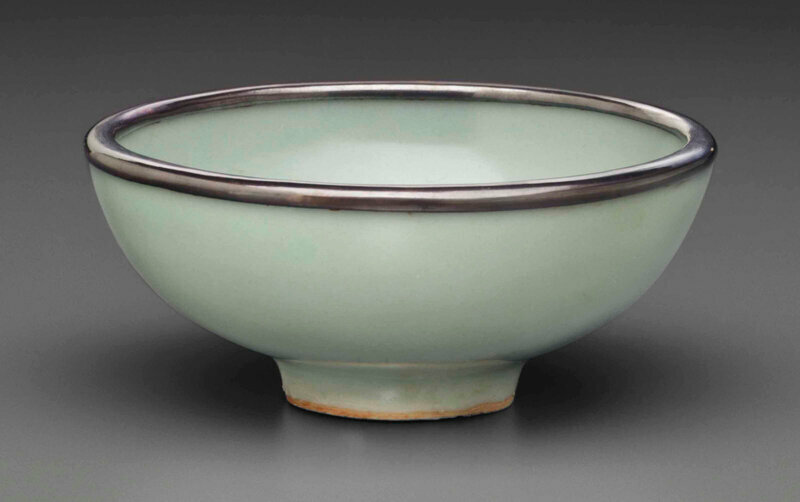 Price Realized $18,750. © Christie’s Image Ltd 2014. 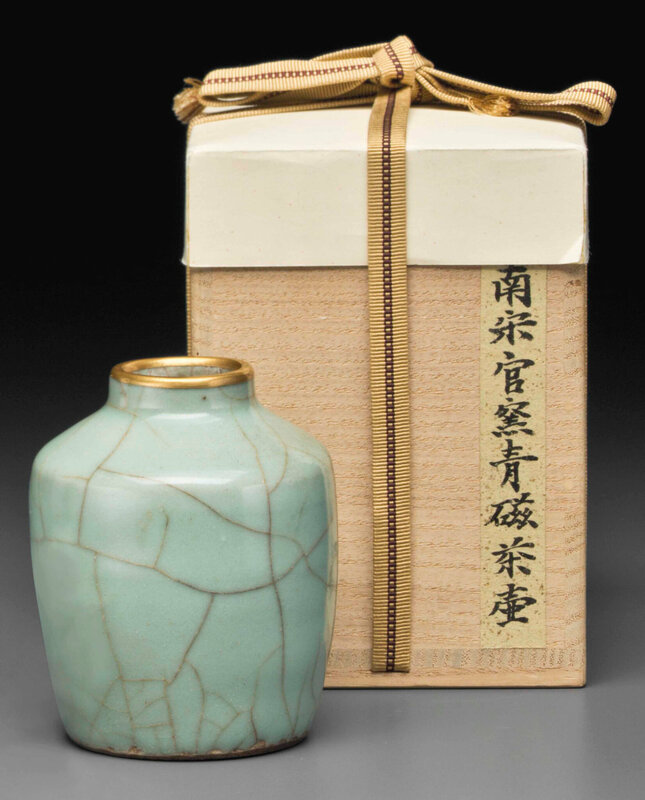 The jar is covered in a sea-green glaze with golden crackle, the rim covered in gold lacquer, Japanese wood box.